The date is July 31. 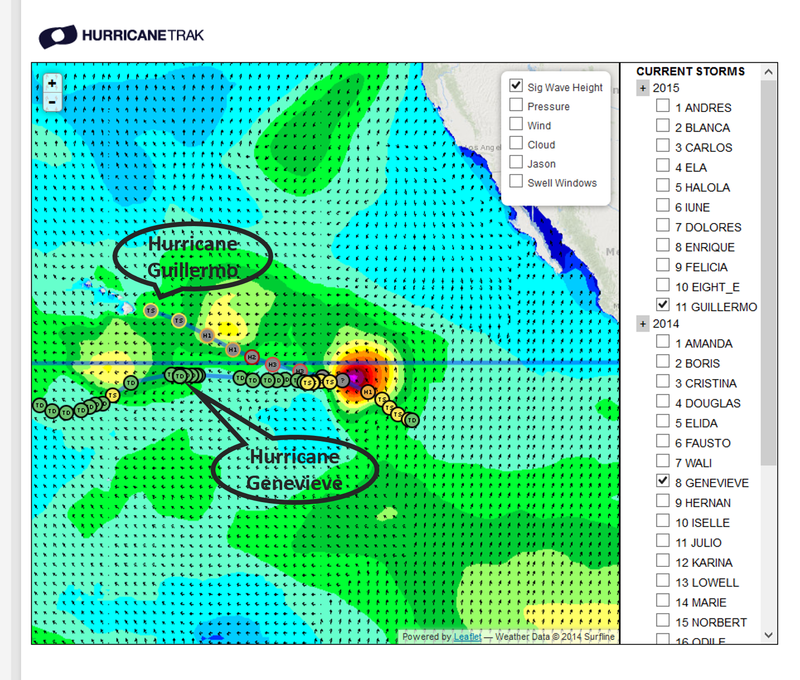 G-Man is Hurricane Guillermo (2015) and G-Woman is Hurricane Genevieve (2014). Grasping at straws here. But, did you notice that the “G-named” storms for both 2014 and 2015 are in almost identical positions in the Pacific on the same day of the year. Could that mean we are in for a storm season similar to 2014? Let’s see, what was the date of Hurricane Marie surf (Big Wednesday) in Southern California? Check out this screen shot from HurricaneTrak (through surfline.com). Could we possibly get hurricane surf two years in a row? It’s happened before in the 70’s. Gotta’ go. I need to order that step-up board I’ve been planning to buy for awhile. See you on August 27, 2015 (Big Thursday). If our favorite Uppers is maxed out, look for us at Newport Point, or at least Doheny. Someone get Laird on the phone. Update: I just checked. The A, B, and C storms of 2014 and 2015 were in similar areas of the Pacific as well. Vote now! That is, vote for your favorite Trestles photos in the California Coastal Commission’s photo contest. Vote by July 31, 2015! To make it easy, here are three photos to vote for. They were taken/submitted by your own TrestlesSurfCrowd.com author, Norris Brandt. Just click on the link below each photo to go to the voting page of mycoastalphoto.com, the Coastal Commission photo contest site. 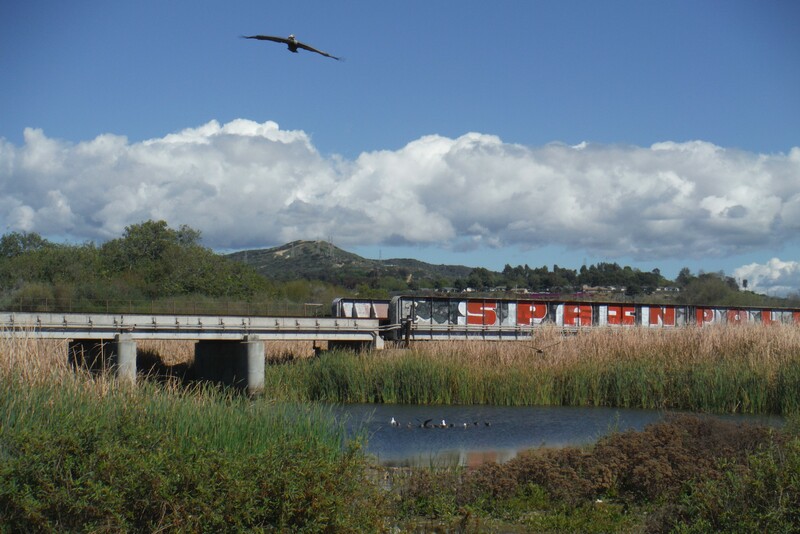 To see the rest of the photos submitted statewide, click on Coastal Commission photo contest. Remember that more public recognition ofTrestles as the best beach on the coast can ultimately lead to more protection for our favorite surf spot. So, go vote with the Crowd!